Download Paid Android Apps For Free!!! 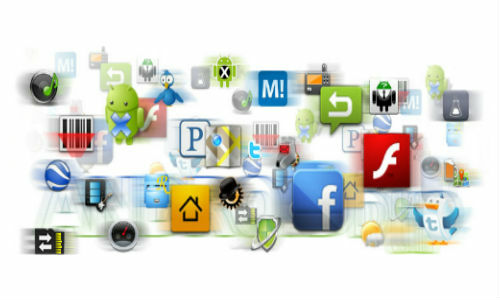 Download paid android applications for free :- Android is an Operating System for Smartphones and Tablets, One of the most Popular Platform for mobile devices and Famous for their Android Market(Play.google) having More then 600,000 application, Most of them are free but some apps are Paid means you have to pay for application before you Download it. Basically We all are Geek’s about Free Things but My Experience on Web Say’s “Their’s Nothing Free on Internet ” you Just have to work Hard that’s all. But After all it’s our Human Tendency to get free things even if it cost some few penny and it fell Good. One of the Most Popular Search Engine and Android too is an open Source product of Google , Search for Paid App on Play.Google and Check if that App Support your Smartphone if not then no use of Downloading an App. Go to Google search and type name of paid app Followed by .apk ,for example <Name of Paid App>.apk Now any Site which you Like and Download the App and copy it to SD Card and Install It. There are Huge Number of Android Fans who actually buy Paid apps and post their backup files on the file Sharing Sites Such as 4Shared, Mediafire, filecrop etc. and repeat the same procedure what you have done for Google Search But instead of searching on Google Search you to search it on file Sharing Sites. NOTE :- Downloading Paid apps for free is illegal, This is just for information Purpose and Download Apps at your own Risk..
Great post. Heard first time about BlackMart Alpha and Pandaapp. But it is risky to download paid apps for free using third party app.